Yellowcake Pedals is one of those companies I like to follow on Instagram (@yellowcakepedals). I feel like I was late to the party when it comes to Instagram, but I love the insight you get following these builders. It’s a great way to find new builders. It’s a great way to find interesting builders. 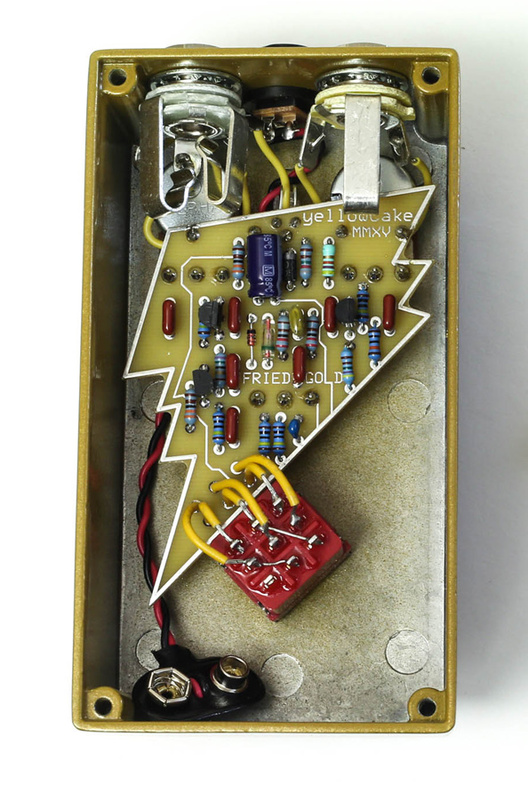 Yellowcake Pedals has a couple of pedals in production – Furry Burrito and Fried Gold. Right off, I dig the name of the business and the pedals. The Furry Burrito is a OD/Fuzz and the Fried Gold is an overdrive. I had the opportunity to play around with the Fried Gold this week and wanted to dedicated a post to this overdrive. The Yellowcake Fried Gold Overdrive is a very straight up overdrive. Controls include Level, Tint and Gain. I spent a good bit of time with the Fried Gold and was impressed with it’s subtlety. This isn’t a face melting overdrive, but a very good overdrive – especially working with my amps. I tested this with a Matchless HC-30 and a Rivera Knucklehead and was very impressed how it added very nice grit. I’m always in search of multiple stages of break-up – especially with the Matchless. I like light grit, medium grit and open up ripping. The Fried Gold achieved that medium grit zone for me ideally. Loved it. Now when cranking the level and gain all the way it was extremely usable. Some ODs will just squeal and be just too much of the good stuff. The Fried Gold still gave plenty to work with and ‘enhanced’ my original signal. This was great for leads – adding punch and clarity. Dialing in the ‘tint’ or ‘tone’ helped bring the lead to where it needs to be in the mix. I was also impressed with the tint, since it was nailing the right frequencies vs. all the frequencies in the tone stack. It’s subtle, but where it needs to be. Ryan at Yellowcake hand-wires all of these pedals himself. I wanted to take a quick look at the guts. You can tell a lot about a builder by looking under the hood, and I was stoked to see the PCB. Lightning bolt PCB.. dude! 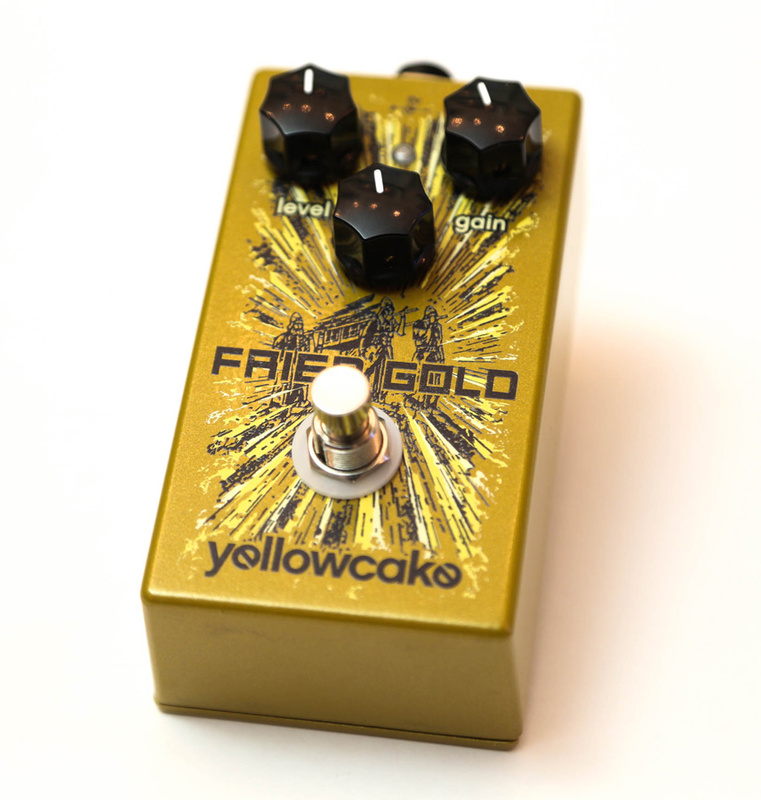 The Yellowcake Fried Gold Overdrive is available for only $160 + shipping and can be purchased directly from their site. Be sure to follow Yellowcake on Facebook and follow them on Instagram! When I last spoke to Ryan, he mentioned he has something new in the works for 2016 release, so you don’t want to miss that! The post Yellowcake Fried Gold Overdrive appeared first on Effects Bay.